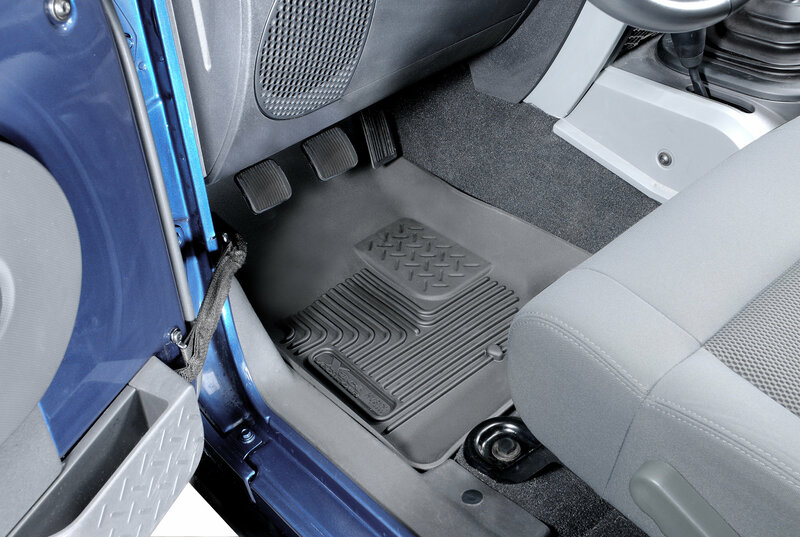 The newest addition to Husky Liners® lineup is the X-act Contour™ floor liners. Made from a rubberized material that conforms perfectly to your vehicle's carpeted floorboards. 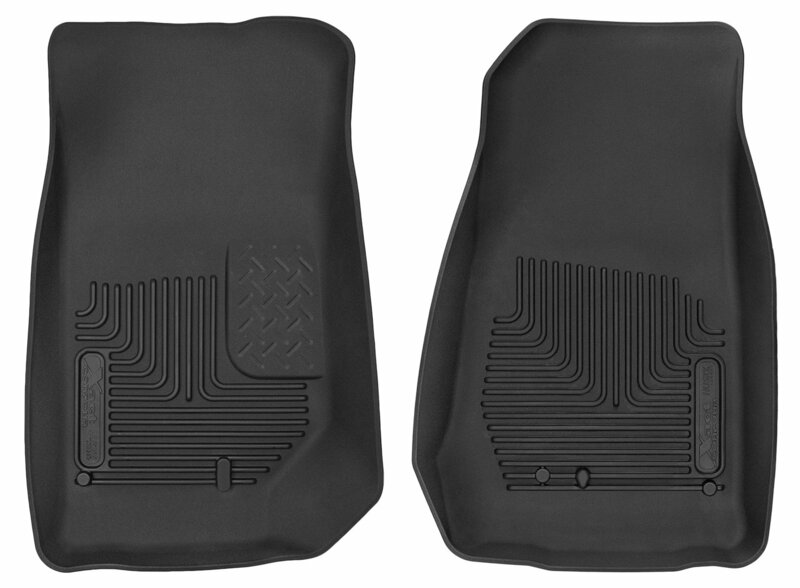 The X-act Contour™ floor liners offer a rich texture and soft, flexible feel while offering the superior functionality and protection of our Classic Style™ and WeatherBeater™ floor liners. 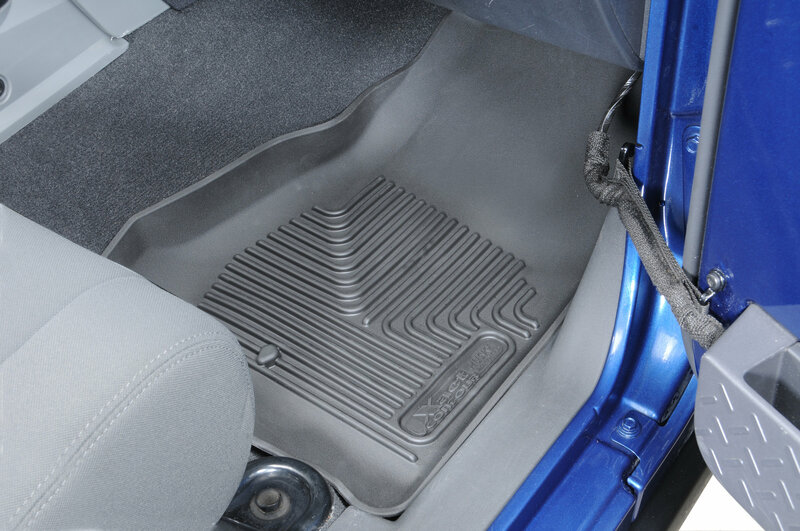 The Patented Form-Fit Edge™ and raised ribs are designed to help keep damaging spills off your door sill and carpet, allows for easier entry and exit and keeps your shoes up and out of the mess. The Husky Liners® lifetime warranty against cracking and breaking make these the best, premier floor liners you can buy for your vehicle. Not designed for use on a 2014-2017 Wrangler. Installing any liners not intended for a 2014-2017 Wrangler on a 2014-2017 Wrangler may result in a dangerous condition.